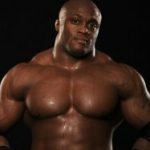 Grip strength and forearm development are not usually a priority for many bodybuilders these days. However, if all weight trainers understood the potential strength they could gain and the weight they could add to all their lifts, they would incorporate a grip/forearm workout in their current workout split. Let’s imagine a simple yet common scenario in the gym. One example could be a guy that can deadlift 150kg for 8 reps. The reality is that his grip fails after 8 reps so he has to stop. Now imagine, if he devoted 4 weeks to improving his grip strength. 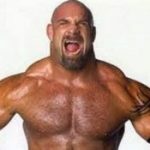 Now when performing deadlifts his grip doesn’t fail early so he can continue and reaches 20 reps. As a result, his lats and his hamstrings get worked for an extra 12 reps and grow as a result. tires. If you were to compare a mechanic’s forearm development to a bodybuilders, 99% of the time a mechanic will win hands down (despite it just being a side effect of his job description). 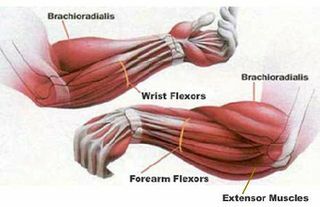 Brachioradialis – This is the beefy muscle on the top of your forearm. You can see this muscle pretty easily when you do exercises like hammer curls, reverse curls and close grip pull-ups. It is responsible for flexing your arm at the elbow. 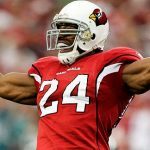 Build this muscle and it will go a long way to improving the size of your forearms, especially on the top side (the side that gets the sunlight). Flexors – These are located on the posterior or inside of the arm (where the sun doesn’t hit). These are responsible for grip strength as they flex the fingers and flex the wrist. 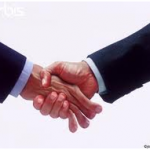 Extensors – These are the smaller muscles on the top of the forearm that extend the fingers and wrist and supinate the forearm. All three of these muscle groups need to be hit if you want to build truly impressive forearms, the exercises below will do just that. Should You Use Weightlifting Straps? When it comes to building impressive forearms and grip you should not be using wrists straps when training, at least not when you are training forearms and grip. 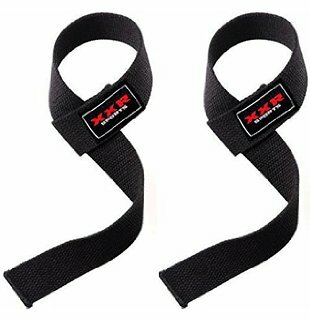 Weight straps are fine if you are doing heavy deadlifts or weighted pull-ups where you want to make sure accomplish the lift before your grip goes out. Straps are great to make sure you work muscles past the point of grip failure so you can perform more reps than you normally would be able to do because your grip gave out. However, you should not use straps when training forearms and grip, straps do some of the work for you so you actually use less of your forearm muscles when you are using straps. When it comes to training forearms and grip, leave your straps in your gym bag. Perform the exercises and the workout below and you will have muscular forearms and a crushing grip in no time. When you make dumbbell handles thicker, it naturally makes it more difficult to hold and is thus a form of overload for your forearms. This training method can result in rapid strength increases. At first, you will need to lower the weight, but after a few weeks of training with a fat bar, you will surpass your previous lifts even with the attachments on. 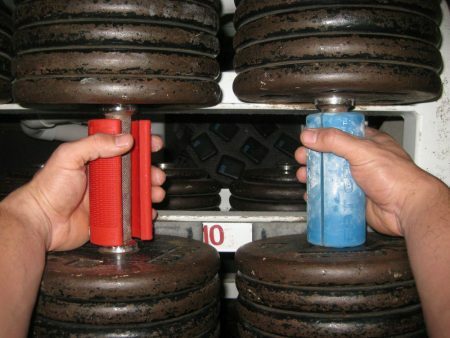 There are several companies that offer these rubber attachments to help make any barbell or dumbbell handle thicker, including FatGripz™ which can be bought for approximately $20. Simply squeezing the two handles together in a “crushing” motion is a great way to improve your hand/grip strength and add size to your forearms. 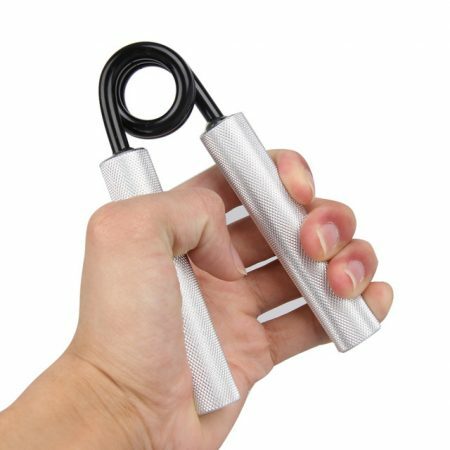 The good thing about grippers is that they come in various different tensions, providing a challenge to a beginner and even a world’s strongest man. These can be done in the comfort of your own home, making it possible to almost match the forearm engagement and training frequency of a mechanic by using this training tool. Probably the most obvious inclusion is wrist curls and reverse wrist curls. These exercises will blast both sides of the forearms. Aim for as little rest in between sets and with at least 6 sets in each forearm session to give your forearms enough volume and stimulus to grow from this exercise. 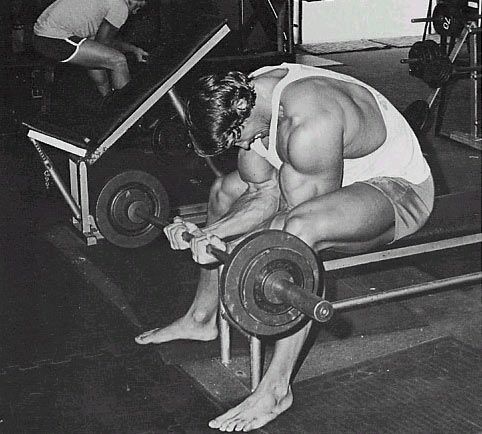 Hammer curls, especially with a fat bar, is great for building massive forearms. This is because it engages your brachioradialis, by far the beefiest part of your forearm. This stance of having your palms facing each other during hammer curls can also be equally applied to back work, incorporating narrow grip pulldowns instead of wide grip lat pulldowns, to work your brachioradialis muscle more. 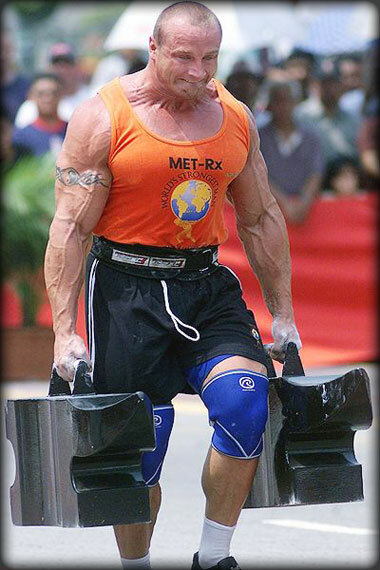 The farmer’s walk is an excellent exercise to build muscle in the upper-back area because they create so much muscular tension and allow you to maintain that over an extended period of time, this means they give you those thick traps and upper back that make you look like a badass. They also totally blast your forearms and build a killer grip. When doing these your forearms will burn and your grip will give out long before your traps and upper back. This exercise is the best grip builder on this list, try some of these killer farmer’s walk workouts that will challenge you mentally and physically and also really help take your grip to the next level. 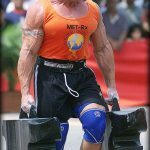 To perform the farmers walk simply grab 2 heavy objects like dumbbells, kettlebells, buckets of sand or even a loaded trap bar and start walking. The farmer’s walk is truly an underrated exercise that is great for your grip and forearms as well as your overall physique. Fitmiss Burn MusclePharm Review: Does It Burn Fat?